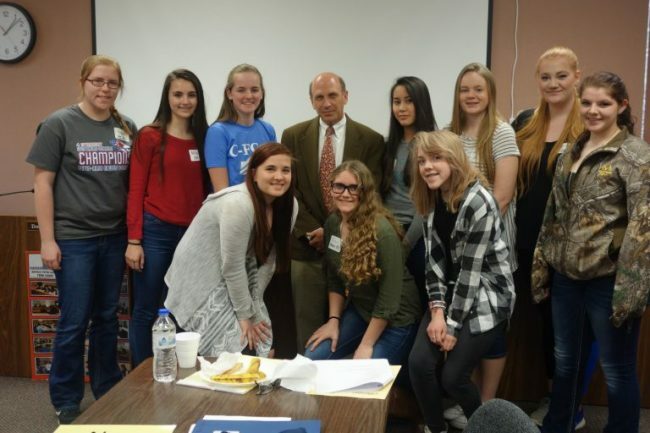 2018 incoming teen court panelists learned from Judge James Duvall, the District Attorney and Public Defender while in the jury box at their training on April 6, 2018. Buffalo/Pepin County Circuit Court Judge Jamie Duvall meets with ten new Teen Court panelists trained on April 5, 2017. New members include: Alex McMahon, Danielle Klein, Abby Gaulke, Emma Brecka, Maya Jungwirth, Gabby Redfern, Trista Lay, Alyssa Kosidowski, Bella Schmidtknecht and Emily Strom. 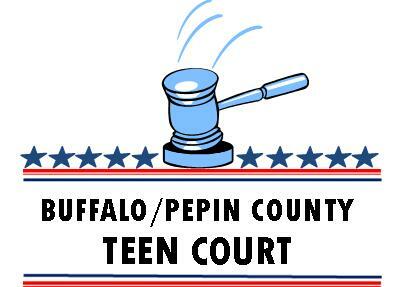 Buffalo/Pepin County Teen Court accepts applications for New Panelists after the first of the year. Applications must be emailed, faxed, or mailed in by February 11, 2019. 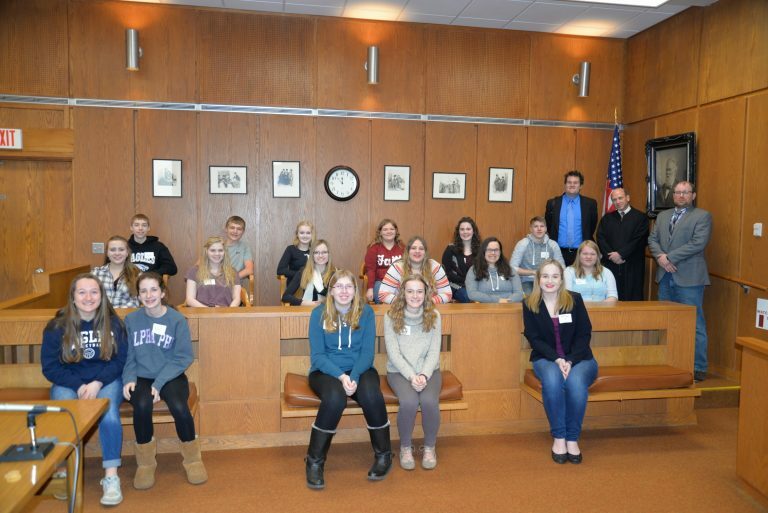 Buffalo/Pepin County Teen Court panelists conducted mock trials with middle school students from Mondovi, CFC, Alma and Pepin Schools in December 2016. Learn more about the results and impacts in the 2016 Mock Trials Evaluative Report . View the handouts parents received about talking to their children about underage drinking with the Underage Drinking Parent Handout for Mock Trials. 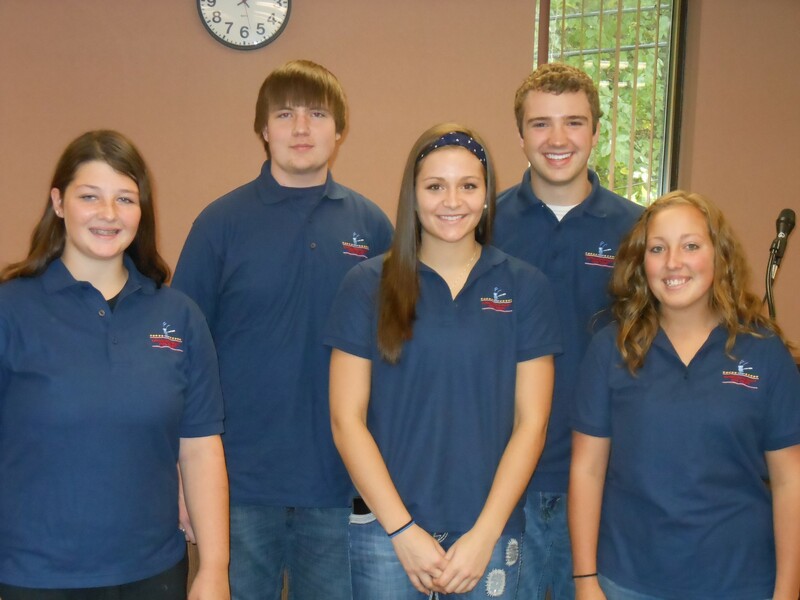 Buffalo/Pepin County Teen Court hosted the 2015 Wisconsin Teen Court Association State Conference! For photos, resources, and more information regarding the conference, click HERE. Teen Court Panelist Training is an opportunity for new and experienced panelists to learn about the principles of Restorative Justice. Buffalo/Pepin Teen Court Panelists proudly wear their new polo shirts displaying the new Teen Court logo. At Teen Court Panelist Training, experienced panelists conduct a mock trial. 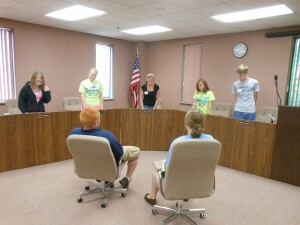 Experienced Teen Court panelists serve as coaches for new panelists during their first hearing. Teen Court offers eligible youth an alternative to appearing in Juvenile Court. They have an opportunity to receive a meaningful consequence from a jury of their peers. 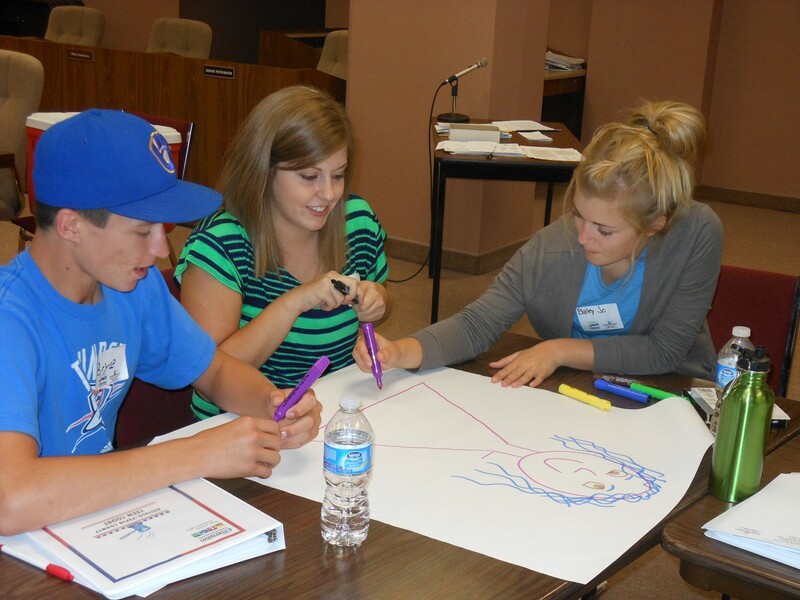 Teen Court offers eligible youth an opportunity to take responsibility for their actions. It provides positive peer pressure with community based consequences. Referrals for Teen Court will come from the Court, Law Enforcement, Schools or Human Services. How Does Teen Court Operate? The offender appears before a panel of three to five teen judge panelists. Panelists will be from a local school district, excluding the offender’s school. Panelists have received specialized training in court procedures. A parent or legal guardian is required to attend the session with the offender. Offender must admit the violation offense. Panelists discuss the offense with the offender to determine why the offense occurred and determine the most effective consequences. Panelists decide the consequences which may include essays, community service, apology letter or other innovative sanctions. A coordinator monitors the offender’s performance of the sentencing guidelines. Offender pays a small fee towards the cost of Teen Court. If offender successfully completes the work, the case is closed without the offender receiving a conviction record. If offender is unsuccessful in completing sentence the offender will be returned to the referring agency. Who benefits from Teen Court? Youth are given an opportunity for a real second chance to prove that mistakes can be turned into positive choices. 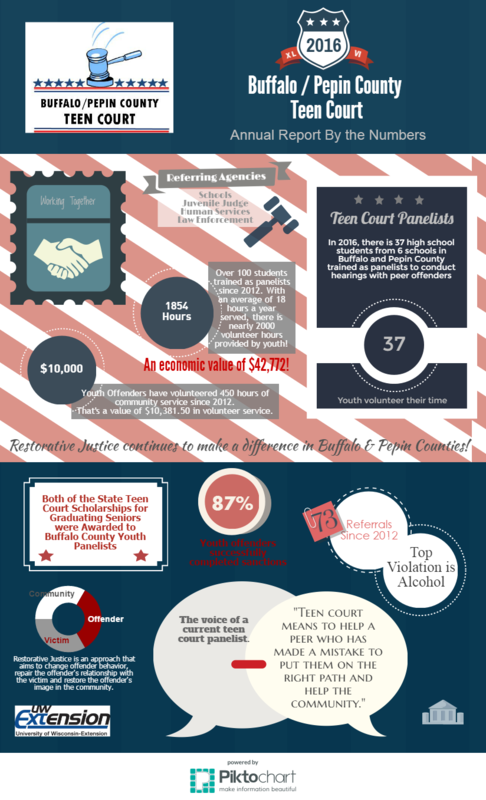 When juvenile offenders successfully complete their Teen Court sentence, they will have their case dismissed. The juvenile becomes responsible for his/her actions. Community service-learning projects will be more meaningful to the youth and their respective communities. The community is able to see teens being held accountable for their actions. 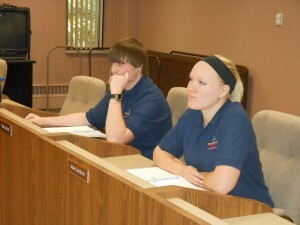 Teen judge panelists gain a sense of responsibility and they encourage peers to stop behaviors that reflect all teens. They also have the opportunity to participate in the juvenile justice system and examine possible career opportunities. Adult volunteers are given the opportunity to make a difference in the lives of our youth.